Baby Fever at Moody Gardens! Moody Gardens is Experiencing a Baby Boom in the Animal Kingdom! Our Rainforest Pyramid staff recently welcomed three Rodrigues fruit bats, two of which can already be seen in the Upper Canopy of the exhibit. Rodrigues fruit bats are a critically endangered species found on Rodrigues Island off the coast of Madagascar. They belong to a group of fruit bats knows as flying foxes. 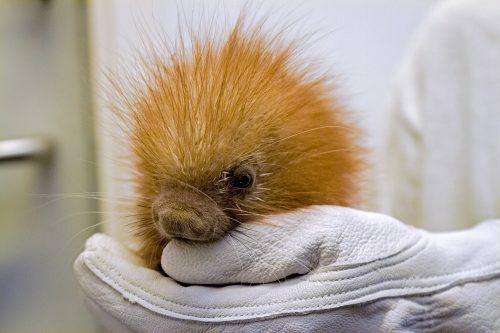 We also have the pleasure of welcoming a baby porcupine known as a porcupette that was born around four weeks ago. Prehensile tail porcupines or tree porcupines inhabit tropical forests in South America. Female porcupines give birth to a single porcupette after six months gestation. 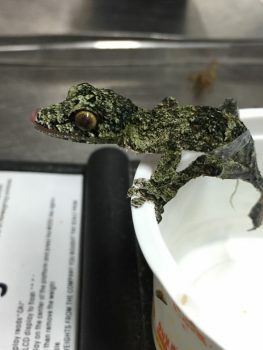 Last but certainly not least, a new leaf tailed gecko joined the Rainforest Pyramid family yesterday! Leaf tail geckos or Uroplatus are native to Madagascar. Their large eyes are a clue to the fact that they are nocturnal. As their name indicates, their tails look like leaves and foliage, which aids in their camouflage abilities. These large geckos are insect eaters. 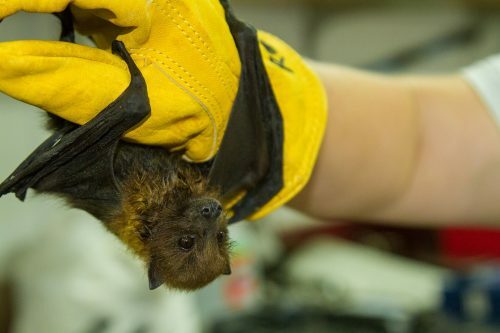 The Rodrigues fruit bats, prehensile tail porcupine and leaf tail geckos are all part of the Association of Zoos and Aquariums (AZA) Species Survival Plan breeding programs. Everyone at Moody Gardens is excited to announce our contributions to the success of conserving these animals. Stay tuned for updates on these adorable newbies and a set of pygmy slow loris twins that are expected to arrive very soon! Next Next post: Welcoming Sam the Sea Lion!